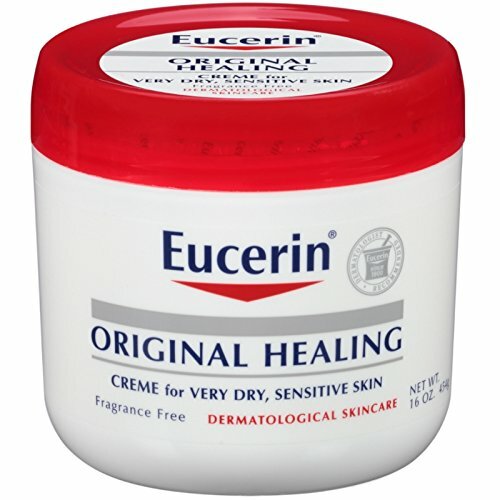 INDICATIONS:Eucerin Original Moisturizing CremeProvides long-lasting moisturization that helps to relieve extra dry, chapped or chafed skin or dry skin associated with eczema or psoriasis. Contains no fragrance and won't clog pores. Can be used safely to help relieve dry skin associated with certain prescribed medications. Heal very dry, sensitive skin with a creme uniquely formulated to repair and protect. Heals & Protects Sensitive Skin, Non Irritating. Can be used safely to help relieve dry skin associated with certain prescribed medications.